Let’s be honest, I have anxiety. To those in the diagnosing professions, it’s called “general anxiety.” A real throwaway term. Might any of these sound familiar? This condition is so common that they needed a name that is easily palatable and memorable. Like the common cold. Or stroke. Hence, general anxiety. Most of this anxiety comes from my fear of commitment. And this isn’t the fear that only comes from joining a club or buying the right car. Which are no doubt painful decisions to make. But, it stems much further than that. All the way down to ice cream flavors, which pen to write with, even what body wash. Things which hold no lasting consequence. Now carry that fear of commitment to starting a blog. “what? A blog? Like something you have to keep coming back to week after week.” This is called commitment. This is painful. Get used to it, cause we’re going to write through the pain. Most anxiety comes from over thinking and under-action. So, to alleviate your anxiety about committing to a blog, here are 10(ish) ways for you to know your commitment is paying off through research. 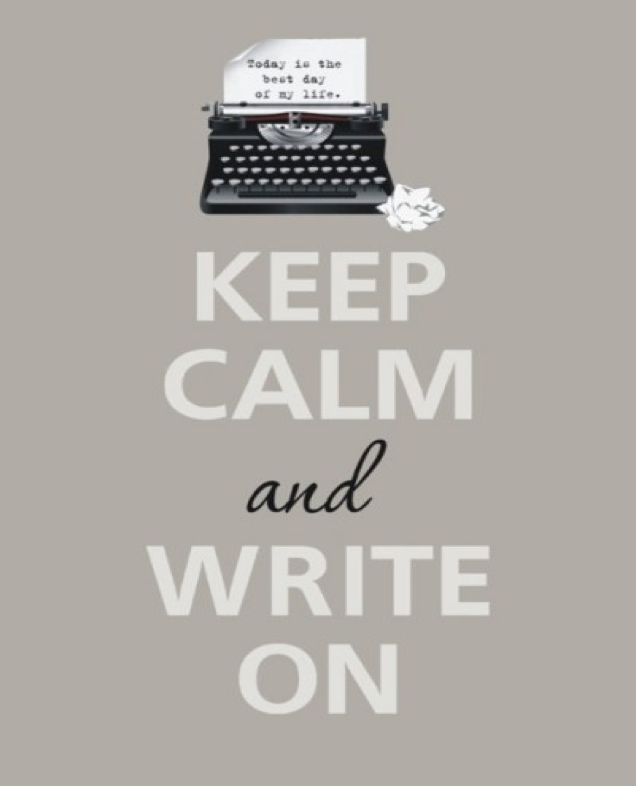 So, calm down and write on. The first half (1–4) of this list we’ll cover how to get your blog up and running. The second half (5–10), we’ll cover how to write the actual posts. Yes. A blog post, or two, a week sounds heavenly. How else are you going to get your brilliant ideas out to the masses. The only drawback to this plan is…your full-time job, your full-time class load, your full-time girlfriend, your small dog that requires full-time attention. Let alone your thirst for movies and dinner dates must be quenched. This plan is doomed to fail before it even begins. Let alone the guilt and anxiety that comes with letting yourself down. You need a solid plan of how often you are going to deliver a post. 1. Start with every other week. If you think that is too sporadic, start with every week. Although it is your blog and your voice, you also have an audience to consider. And, don’t fret, goals can always be changed to suit your continuously changing life. But to change anything, you first need to have something to be able to change. Psychology Today offers a ton of research-backed methods of how to start planning. 2. Once you have your (realistic) post number in your mind, set aside a certain time of week for you to write. If it’s a diary style post, you might only need to write it once then send it out into the ether. If it is a researched post about the decay of the Roman Empire in the latter half of the 5th century, you might need to give yourself a bit more time to write it, sleep on it, then come back the next day for edits. Basically, know yourself and how long you might need. 3. Set aside a predetermined amount of time every day. You might be surprised that you can get several posts done in one week. Using the rest of the time for that novel that will most definitely never see the light of day. 4. Have a running catalog of ideas that you keep that you can rummage around for ideas. Write your ideas in a digital note or set a reminder with the idea so you can later transcribe it to a central location when you get to your desk. I like to write mine down as a reminder on my phone. I have my phone remind me when I get back to my house. That way I have a looming notification number on my phone that forces me to take action. You need something to remind you of that brilliant thought you had while walking your dog. Otherwise, you’ll have nothing more than ideas stuffed into your jacket pocket and cup holder in your car. 5. If you have the drive/time on certain days, write two or more posts at once. That way, if you don’t have time one week, you can just copy and paste. Ok, so as far as anxiety goes, I’ll make this one easy. There are quite a few platforms for blogging out there. I’m talking more than 10. And whenever presented with more than 10 choices of anything I feel it’s my duty, as a general anxiety sufferer, to start with a slight case of flushed cheeks, immediately followed by a mild case of chest sweats, and finally leading to the ‘giving up on life’ stage. There are so many options out there. Heck, entire books are dedicated to the specific look and feel of your blog. There is Squarespace, blogger, ghost, medium, wix, etc. (etc. is not a platform). All have different layouts, features, prices. It all depends on how good they make you feel and what you want to accomplish. If you don’t care about how they make you feel, go with old simple and reliable: WordPress. WordPress is all-consuming. It holds the most clout over the internet with as much as 29% of all web pages being hosted by them. And it’s on the rise. 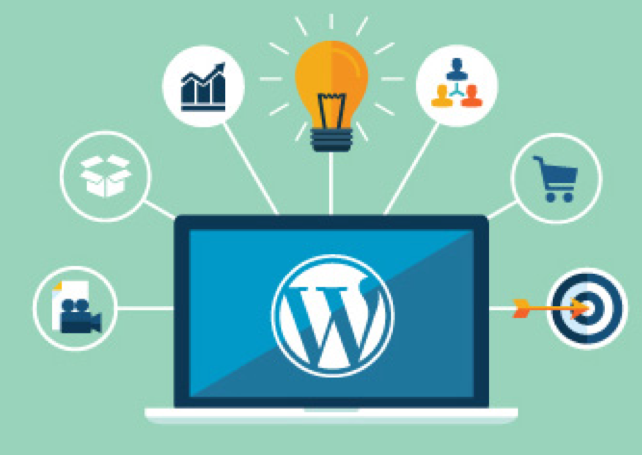 Because of its wide-spreading appeal, WordPress has a ‘hold your hand’ kind of mentality when it comes to getting newbie bloggers/website creators started. There are countless designs, layouts, themes, to choose from. You can create anything from a complicated interactive website to a simple diary style blog. They even have a completely free plan that you can use. The only drawback is that Wordpress owns all the rights to whatever you put on that site. But it’s free. If you want more control and options (pretty much an unlimited source of options) they also have a paid site. Even though you might be writing for the shear benefit of your personal diary, you still MUST have an audience in mind. Heck, even when you’re writing your journal, your audience is you. So, the fact remains, that you MUST have an audience in mind. But, fear not, this will step will actually alleviate your stress and focus you in. You’ll have a lot easier time with writing when you know who you are having this conversation with. Even if you’re writing for yourself, just write down your demographics so you have a clear sense of yourself. It’s comforting as it grounds you while writing. You always know what to focus on if you get lost. Remember, the audience is not a limiting group. It’s a focusing tool. Just because you have someone in mind, does not mean that those will be the only people who read your blog. But the more specific you are, the better. Just like you, people enjoy a wide range of items and ideas. Don’t feel like a target audience is limiting you. It is actually making your voice more universally appeal. It gives it structure and depth. 3. Are they primarily male or female? 4. How educated is your audience? 5. What does your audience do for a living? Remember, for this section you want to be specific as it will drive YOUR focus. Once the piece is written the readership might take on a different demographic then you had in mind when you wrote it. This isn’t a bad thing. Just get it out there to the masses and let them worry about the rest. You want to make this one as descriptive and informative as possible. STEP 1: Ask yourself a few questions. STEP 2: Answer those questions. STEP 3: Let the people you know, and trust, take it from there. We’ve all heard the saying, “it takes a village,” blah blah blap. But, there’s reason this has lasting power. Now, imagine your ideas as a beautiful baby with doughy eyes and smells of wet wipes. Like any baby, it needs a ton of attention and a lot of work. Cause it’s a baby and it’s useless on its own. It needs time, patience, attention, and lots of opinions about how to make the raising process easier. a. What do you want the blog to be about? c. What is the tone your blog is going to take? d. Are you building a brand or just getting those voices out of your head? Put your questions on social media. Facebook has a post extension that allows you to offer up a poll for your friends to vote on. Text or email the people you trust. Call your mom (she’ll thank you for this) and get her opinion. The main point is to take your ideas and take the pressure of decision making off of yourself. Once you’ve compiled all of the opinions and you’ve narrowed it down to the one you feel really good about. USE IT. If you still are having trouble. The internet is here to help. Leandomain offers help on available domain names. Remember, it doesn’t need to be perfect. It just needs to be your own. And here is some research if you feel more comfortable putting your trust in that. I usually do. So, if you’ve made it this far, congratulations. 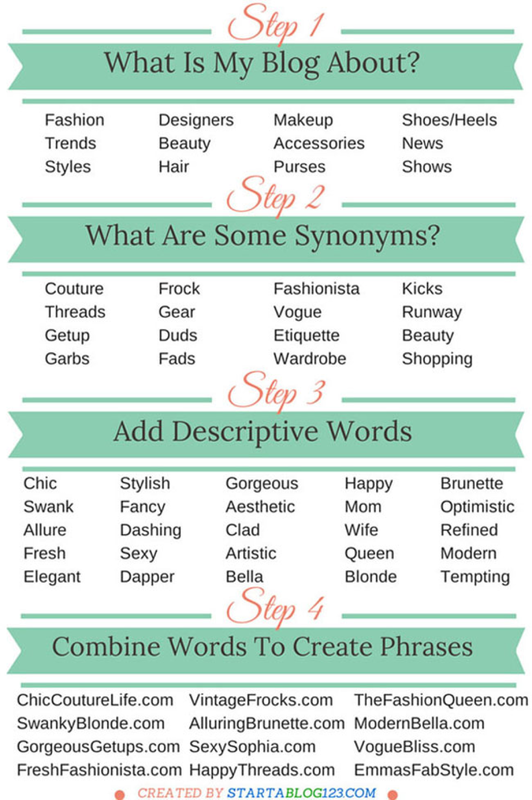 You should have gotten the basics on how to find and create your own blog. Just remember, if you find yourself fumbling to make a decision. Just remember that your blog is something personal. Something that is yours. So, your decisions don’t need to be perfect, they just need to be made and executed. On the final installment of this post, we’ll delve into how exactly you go about posting your ideas on that beautiful blog site with that beautiful blog name you created. I’ll present more science and ways to write right past your anxiety about the whole ordeal. If I can manage it. I know you can too.